Australian tennis legend Margaret Court—revered by her nation for decades after becoming the first woman in the open era to win tennis’ Grand Slam in 1970—is now courting controversy. In a letter published in an Australian newspaper, Court, now a pastor in Perth, ripped the national airline and its CEO for its support for gay rights. Qantas Airways has been an outspoken advocate of gay marriage, and CEO Alan Joyce recently joined 20 other chief executives of major corporations who signed a letter in support of marriage equality. If she plans on flying out of Perth, however, she might not have much choice: The only other major carrier out of the city is Virgin Australia, owned by Sir Richard Branson, also an active, passionate supporter of gay rights. Court, now 74, won 24 women’s tennis singles titles, including the elusive Grand Slam—all four major events of Wimbledon, the French Open, U.S. Open and Australian Open during the same calendar year. Her comments have caused a ripple effect among Australians who support gay rights and those who don’t. A particularly thorny issue is her reference, however vague, to conversion therapy. 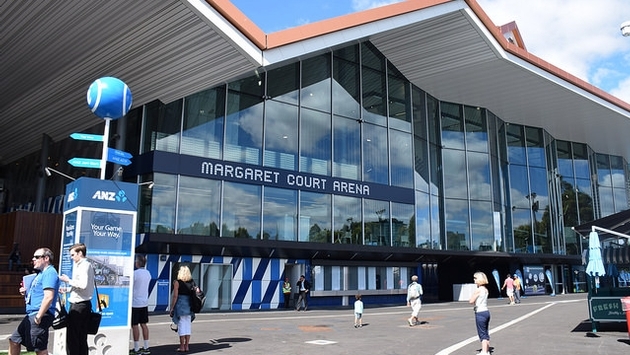 Some are now calling for the removal of her name from the Margaret Court Arena in Melbourne, site of the annual Australian Open tournament.